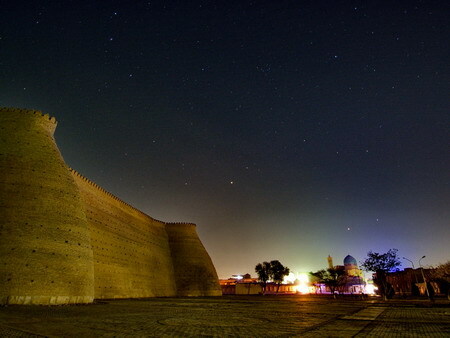 Beautiful eastern legend says: light of grace from the sky falls on Muslim cities, but Bukhara itself is the source of this light. 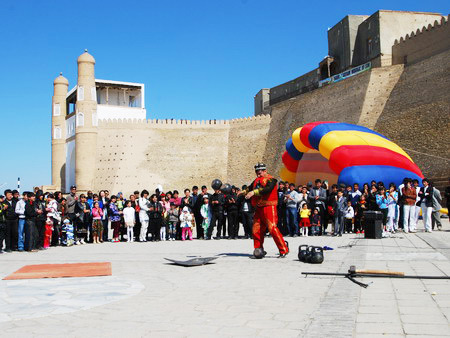 Bukhara tour is a trip in the holy city of Central Asia with its foundation dating back to the 1st century B.C. Due to the great concentration of great amount of mosques and shrines in the city is often called "The star of the Muslim world". 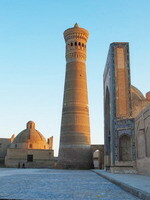 We can carry on with many other impressive facts and numbers, Bukhara will still have more to say. 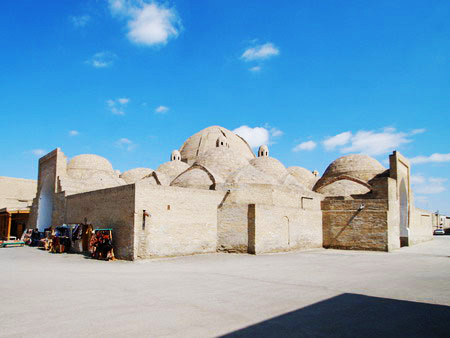 Its big part is an architectural monument and that is why it is included in the UNESCO World Cultural Heritage List; more than 140 monuments of the Islamic epoch have been preservedup to now; world-known classic of the medieval eastern poetry Omar Khayyam lived and worked in Bukhara. These are only facts, and it cannot describe the beauty of this city. 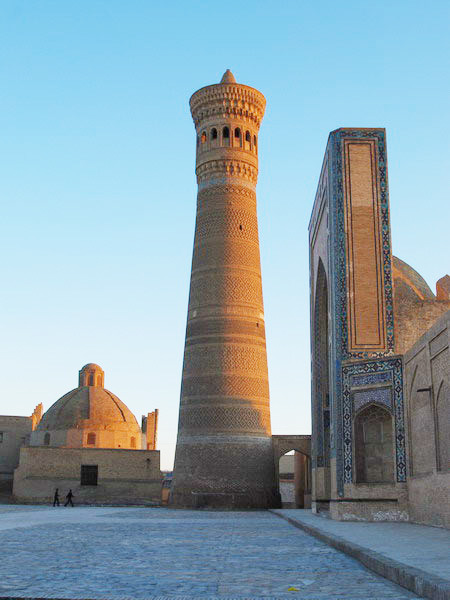 Neither it can describe the feeling that Bukhara leaves in one who has strolled along its narrow streets and looked into the yards of old houses made of clay bricks. A traveler looking at Kalyan Tower can imagine how caravans were looking at it with hope walking through the golden sands of the desert. 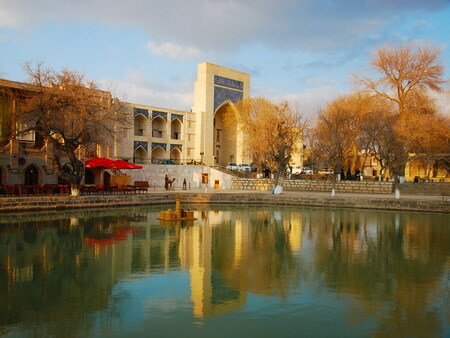 It is impossible to deliver that tranquility and conciliation of those who had watched a picturesque city pond Lyab-Hauz and to stir that hectic feeling of joy that was dominant in Bukhara markets, the place where you cannot leave without a purchase, be it freshly-baked bread, some spices or a bag of delicious fruit. 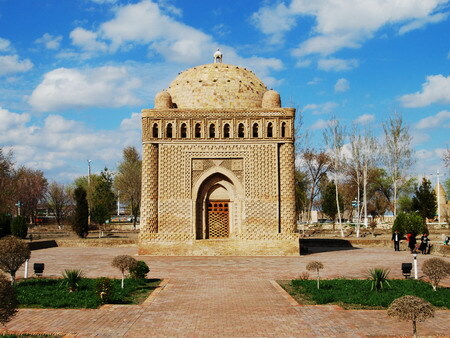 During your Bukhara tour you will visit Samanids mausoleum, Chashma-Ayub Mausoleum, Poi-Kalyan Architectural Complex, city citadel Ark, Magoki-Attori Mosque, an unusual medrese Chor-Minor with four towers. 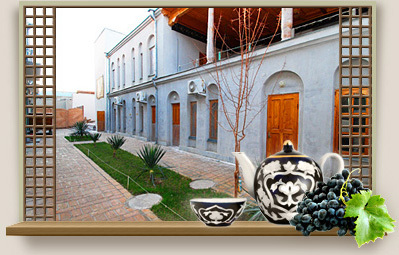 You will hear stories of the past, see the places that keep secrets of Bukhara, meet hospitable people of Bukhara. 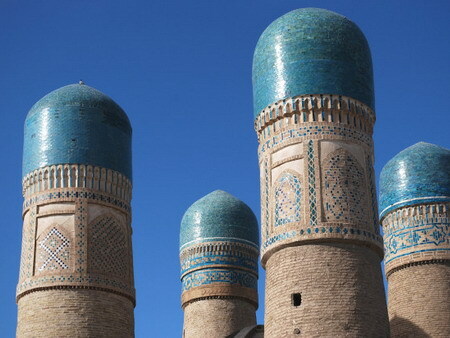 Tour in Bukhara will take you to the oriental fairy-tale that you do not want to leave!